Volkswagen scandal: Should the CEO have stepped down? Volkswagen is now on the search for a new CEO following Martin Winterkorn announcing his resignation as the brand continues to be engulfed in a recent pollution scandal. Volkswagen has been making headlines globally following the brand admitting that it used software that manipulated exhaust emissions during government testing. 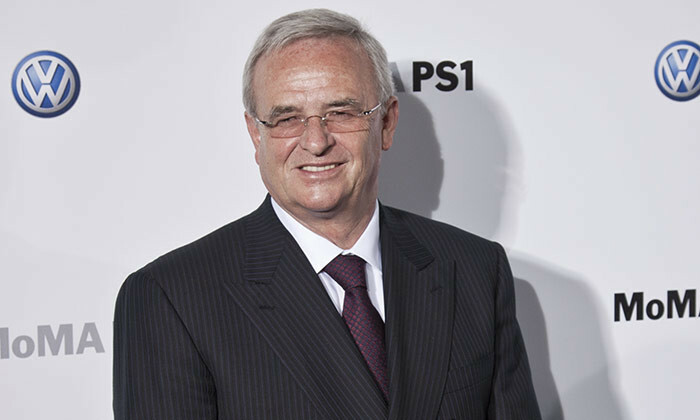 Winterkorn in a statement said he is “shocked by the events of the past few days” and “stunned” that misconduct on such a scale was possible in the Volkswagen Group. “As CEO I accept responsibility for the irregularities that have been found in diesel engines and have therefore requested the Supervisory Board to agree on terminating my function as CEO of the Volkswagen Group. I am doing this in the interests of the company even though I am not aware of any wrong doing on my part,” read his statement. Winterkorn also added that the company needs a fresh start in terms of personnel and he is “clearing the way” with the resignation. He added that this is the only way to win back trust of the public. Was this the right move for the brand? In a conversation with Marketing, Lars Voedisch, principal consultant and managing director of PRecious Communications was of the view that it is still to early to decide if Winterkorn needed to go to remedy the entire situation. “What is clear is that the advisory board wants to have somebody on top who has not been involved in this scandal,” said Voedisch. Sonya Madeira, founder of Rice Communications however lauded the move and added it is good that it happened so quickly. She said the entire incident is likely to impact the whole automotive industry and give them a wake up jolt. When asked if the CEO’s head should always be the first to roll in such crisis situations, Madeira explained that if a scandal is knowingly engineered, the buck stops at the top and CEO’s head needs to roll. Brian West, managing director reputation management APAC and global chair crisis management of FleishmanHillard Singapore was of the view that the resignation of the CEO was the first and correct step as it demonstrated accountability. He explained that reputation damage in a crisis such as this, is often directly proportional to the company’s ability to show authentic leadership. “Clearly in Volkwagen’s case, trust in the company’s leadership was destroyed and a circuit breaker was required to enable the company to take a leadership role in managing its crisis,” West said. However he added that not always does a CEO’s head need to roll in crisis situations. “In a crisis people look for transparency and accountability, it does not always have to lead to anyone’s resignation. The CEO’s role in a crisis is to mandate action and demand accountability, to lead. However in this case the failure is widespread, occurred over a long time frame or rather on his watch. It is systemic and therefore ultimately led to the CEO’s door,” said West. While the CEO stepping down might demonstrate the brand moving in the right direction, going back to its glory days will not be a cakewalk for the brand. But this is not to say it is impossible. West suggests the next step for the company is for its leadership team to establish a Guiding Light Strategy (GLS), which is a bold, clear and aspirational. This should be a clear statement on what Volkswagen wants to stand and be known for. “The GLS gives the company a real chance of emerging from a crisis stronger than before. Having a GLS facilitates clarity on the big picture, the long term strategy of Volkswagen and the desired reputation the company wants to project and protect by aligning the company’s management of the current crisis with that long term vision, mission and reputation,” said West. Often, having a GSL unifies the management team in heading in the same direction reassures them there light at the end of the tunnel. It also gets them to focus on the things they have control over, and to take control. “This is where the company moves from reacting to proposing; from following to leading; from defensive to assertive – they are in fact reaffirming what the company stands for, bringing its values to life in a crisis via its actions. The GLS takes management from managing a crisis to leadership during a crisis,” West explained. In an earlier article, Voedisch, principal consultant and managing director of PRecious Communications said is the perfect opportunity for the brand to get all of its dirty laundry out now. If more information comes at a later date, it would simply prolong the negative brand sentiment on consumers’ minds. “The issue now is to deal with what is at hand and ensure it never happens again and that is the tricky bit as it requires building trust with the consumer again,” said Voedisch. However, if the brand is effectively able to win back consumer trusts, it can work towards using this issue to push for an industry-wide change. EastWest Public Relations has expanded into India. ..